The client's desire tapped into a lifestyle commonly found in New York. He wanted a kitchen that would be fully operational when needed and then disappear when not in use to allow for a larger, unencumbered living space. 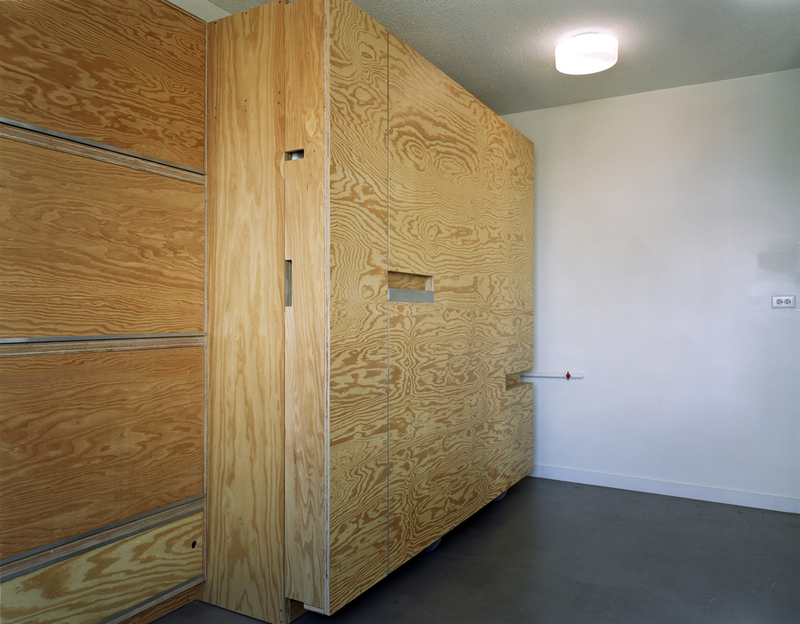 The goal was to have the utilities appear as a large plywood box when closed and then unfold into the space when needed. 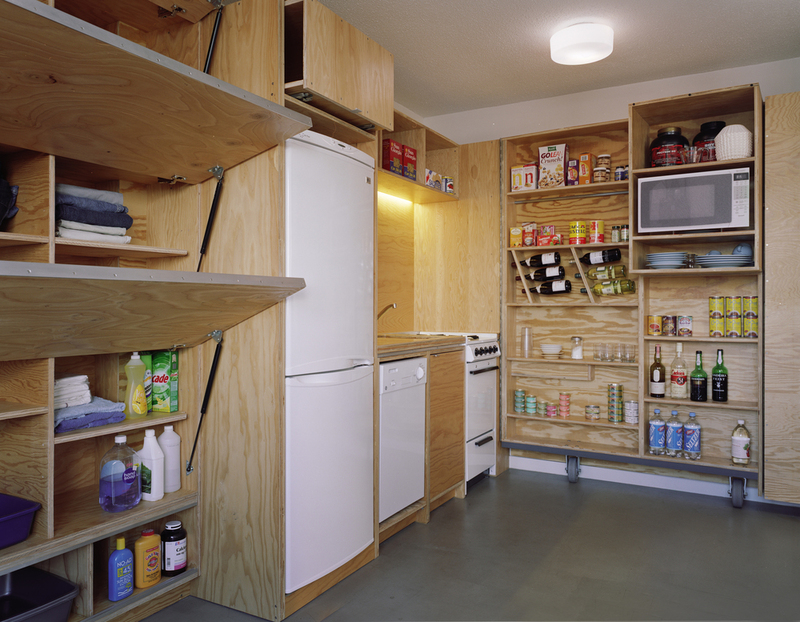 The shelving door pivot is reminiscent of a Delorean automobile while the large door hinges in two parts in order to reveal all the necessary appliances: range, refrigerator, sink, dishwasher, and microwave.